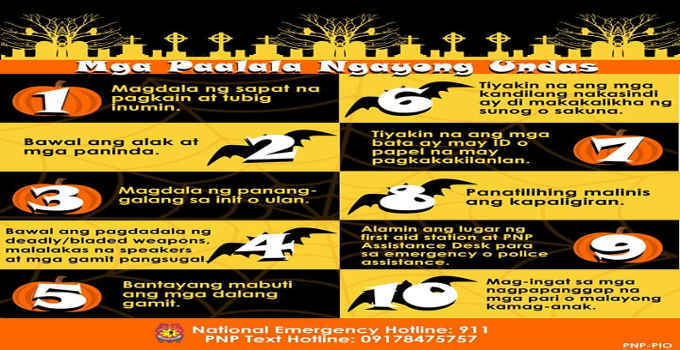 The PNP All Saints Day reminders to the public. On November 1st comes Undas or All Saints Day. popularly known by the Spanish term Todos Los Santos. are cleaned or repainted, candles are lit, and flowers are offered. The members of the family also play cards, eat and drink at the cemetery.